I STARED blankly into space after I finished Ian McEwan's On Chesil Beach. McEwan always does that to me: he paralyzes me with wonder. As usual I was in a restaurant, whiling away time, as if I—an overworked medical intern—had extra time to while away. (My excuse: that I'm in the hospital most of the time, and that I need to see the outside world, too). I've had the book for months now but only started on it a few days ago. Short, sweet, and tragic—just the way I like love stories to be. Two virgins discover each other on honeymoon night. This was in 1962, in a hotel on the Dorset coast in England. Edward Mayhew is a bookish fellow who dreams of writing about history. Florence Ponting is a violin player who comes from a wealthy family. Although they come from vastly different backgrounds they love each other very much, so much so that on their first night of what would be many matrimonial nights together, they want to make wonderful memories. My initial concern with the plot was whether the story was going to turn out to be inappropriate. 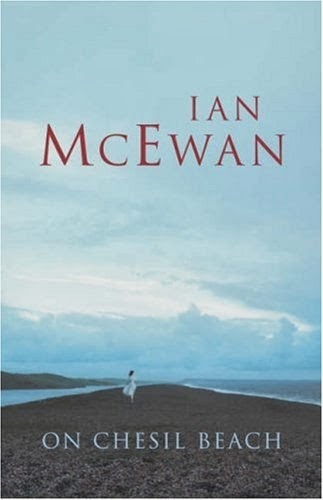 Thankfully McEwan runs through the story with impressive tact, showcasing delight and fear and uneasiness without being vulgar. Therein lies his genius: his ability to weave tales so elegantly worded, so beautifully crafted, that one longs for more after the last page. Does it end with this sentence? "She had no idea what she would do when they were there, but at least that rising sound had ceased, and, in the few seconds it would take to arrive, her mouth and tongue were her own, and she could breathe and try to take possession of herself." ^Di pala. Thought twas a short story, not a novel. Don't like tragic love stories in general---there are too many in real life. Hahaha! Korni kasi minsan kapag happy ending eh.